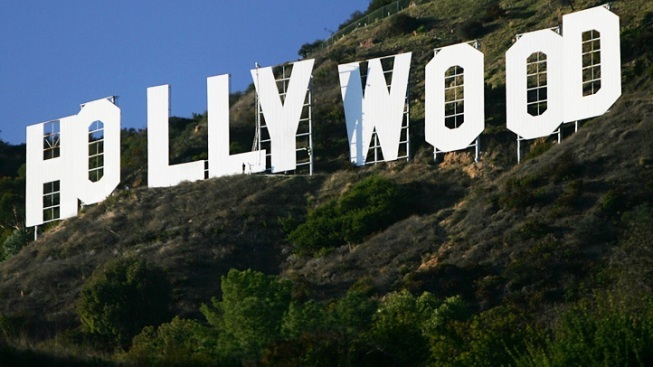 Hollywood Sign Tourists: Welcome or Not? The Hollywood Sign in Los Angeles, California. The growing throng of tourists taking the trek to get a closer view of the Hollywood sign has created a dispute among homeowners living in the landmark's shadow. One group of residents has made attempts to discourage the visitors with signs warning tourists to leave. Another group is excited at the prospect of a beautification project initiated by City Councilman Tom LaBonge. The project is aimed at improvements for the area and providing a site for tourists to get a scenic view. The issue will be the focus of a meeting Tuesday at the Fountain Avenue community room. The homeowners trying to discourage sightseers, led by the Hollywoodland Homeowners Association, say the roads beneath the Hollywood sign are too narrow to accommodate both the residents and tourists who often come in tour vans and buses. On the other side, the Beachwood Canyon Neighborhood Association is in favor of LaBonge's plan. "The area is getting nicer and more open, which means that those who have found their own way into Hollywoodland and want to take a photo of the Hollywood sign don’t have to stand in the street," the group’s leader, Fran Reichenbach, told the LA Times. " On his way up to the sign, chairman of the Hollywood Sign Trust Chris Baumgart found the private access road "packed with cars and tourists." "I thought to myself, 'If someone needed an ambulance, how would it get up here?'" Baumgart said. Reacting to neighborhood concerns, the Sign Trust posted where to get a picture-perfect shot of the sign and how to get there on their website. With this information, they hope to divert traffic away from homes and onto designated routes. "The people who go up to look at the signs are tourists," said Baumgart. "If you aren't directing them, they’ll direct themselves. "What people are just starting to realize is that you’ve had this huge proliferation of smartphone usage, and while that’s just one component of what the problem is, it’s a huge component." Tourists using smartphones can find a variety of suggestions when it comes to finding a viewing area, and some "rogue" websites encourage visitors to use private roads to reach the sign. Baumgart suggested the areas posted on the Trust's website. "We can’t control all of them," Baumgart said. To blockade the area, residents took to posting "tourist-free zone" signs in areas where they typically park. These signs were later removed. Tuesday's meeting will provide a public forum. It will be at Hollywood City Hall in the Community Room at 6501 Fountain Avenue.